You can use our search box on the left to find your holiday rental in Rhone-Alpes or else you can scroll down the displayed properties. Just click on the details button and the holiday rental owner's web site will open in a new window. Chalet in Rhone-Alpes, France - Sleeps 9. 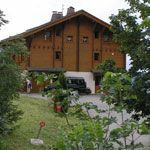 Chalet in Rhone-Alpes, France - Sleeps 16. Chalet in Saint Gervais, Haute Savoie, Rhone Alpes, France - Sleeps 8. Apartment in Tignes, Rhone-Alpes, France - Sleeps 6. Farmhouse in Ardeche region, Rhone-Alpes, South East France, France - Sleeps 6.